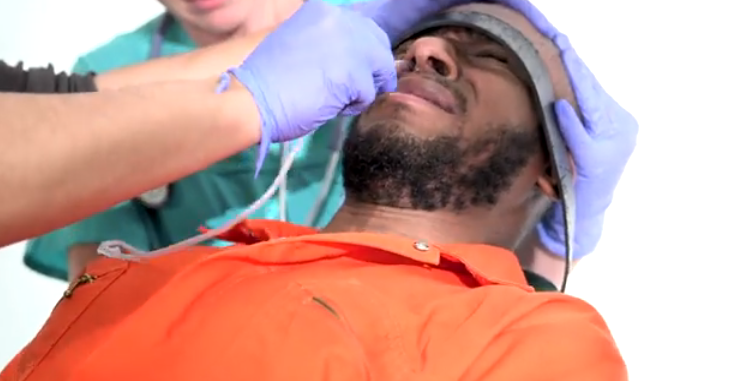 that requires them to wear masks over their mouths while they sit shackled in a restraint chair for as long as two hours… The prisoners remain this way, with a 61cm – or longer – tube snaked through their nostril until a chest X-ray, or a test dose of water, confirms it has reached their stomach. At the end of the feeding, the prisoner is removed from the restraint chair and placed into a “dry cell” with no running water. A guard then observes the detainee for 45-60 minutes “for any indications of vomiting or attempts to induce vomiting”. If the prisoner vomits he is returned to the restraint chair. Bey was unable to repeat the procedure, which is performed on prisoners twice a day, after it was done once. Article 5 of the 1975 World Medical Association Tokyo Declaration, which US doctors are legally bound to observe as members of the American Medical Association, states that doctors must not undertake force-feeding under any circumstances. The American Medical Association, the U.N. High Commissioner for Human Rights and other organizations have condemned the practice. 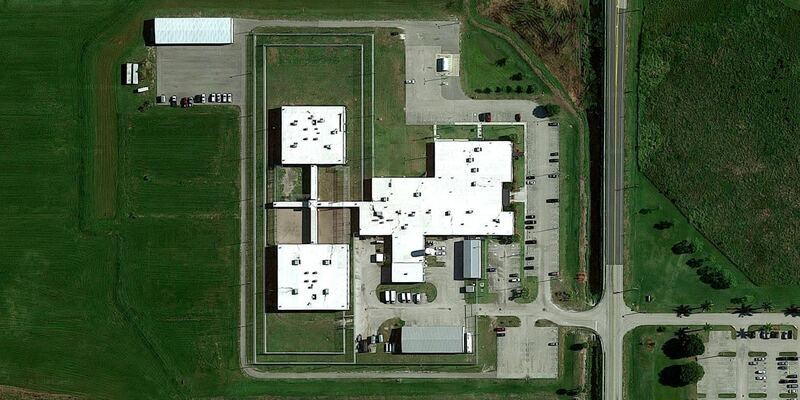 The Obama Administration has said it will only force-feed prisoners at night, during Ramadan. Despite Obama’s 2008 promise to close Guantanamo Bay, the facility remains open and continues to undermine the United States and its claims to democracy and human rights. In the words of one critic, GTMO has “become a symbol around the world for an America that flouts the rule of law”. That critic is Barack Obama. Video after the jump. Transcript coming soon. 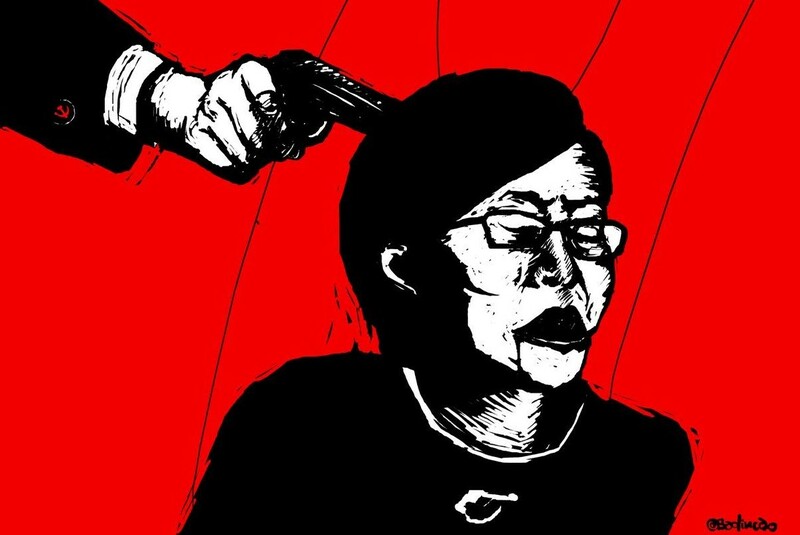 Wang was disappeared on July 9, 2015 and charged with “subversion of state power” in early 2016; she was detained for over a year before she confessed. Her disappearance last July was the start of the “709 Incidence,” the mass-scale crackdown on over 100 Chinese civil rights attorneys, also known as “cause lawyers” or “rights defenders” (weiquan lawyers, 维权律师).